A year ago, Nathan Feuerstein, better known to his fans as NF, was a Michigan rapper with a heavy Eminem influence, on the fringes of the mainstream. Now he has a No. 1 album. Why See NF - Nate Feuerstein? 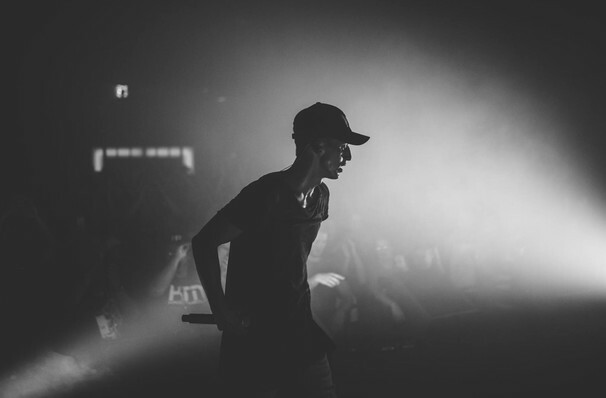 Rather than letting a broken childhood fuel an endless cycle, rapper Nate Feuerstein, known as NF to his fans, turned to a higher power and channelled his emotions into his music, leaving his mark on both the Christian and mainstream hip hop scenes in the process. 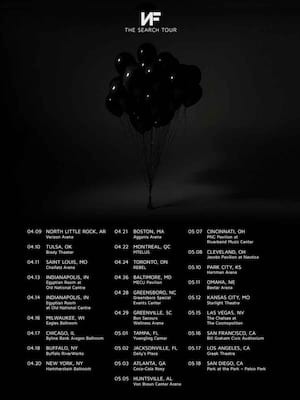 Following its Billboard Chart-topping release in 2017, the rapper is heading out on the Perception World Tour, bringing hit singles Destiny, If You Want Love and Remember This to the stage. Feuerstein's unique sound exists at the intersection between religious music and well crafted, no-holds-barred hip hop. His dynamic flow is influenced by his own heartfelt emotions and personal spiritual experiences, proving Christian music isn't all just upbeat Hillsong anthems but that it can be real and raw too. With a sense of conviction, NF takes to the mic with a magnetic sense of ferocity that's rewriting the worship songs handbook with every confessional syllable. Sound good to you? Share this page on social media and let your friends know about NF - Nate Feuerstein at Metropolis. Please note: All prices are listed in US Dollars (USD). The term Metropolis and/or NF - Nate Feuerstein as well as all associated graphics, logos, and/or other trademarks, tradenames or copyrights are the property of the Metropolis and/or NF - Nate Feuerstein and are used herein for factual descriptive purposes only. We are in no way associated with or authorized by the Metropolis and/or NF - Nate Feuerstein and neither that entity nor any of its affiliates have licensed or endorsed us to sell tickets, goods and or services in conjunction with their events.